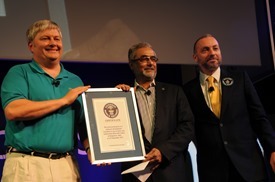 Finally the 18 hours of coding marathon, Windows 8 App fest, made it to Guinness World Records with participation from 3500 developers through active support from Microsoft mentors. 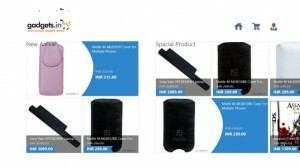 It was a remarkable experience for every one of us at InSync tech-fin Solutions Ltd. and a memorable moment, when our windows 8 Magento Ecommerce App, for www.gadgets.in, showcased in the list of winner apps. 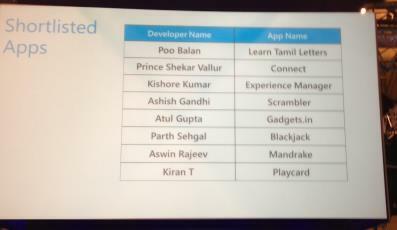 The journey started with the announcement of the Appfest which took place on 21st September at Bangalore. We planned ahead, but execution in such a short span was difficult and not without some challenges and hurdles on our way. Strong determination and trust on our team gave us the confidence to participate. It was also through support from Gadgets.in that boosted our moral to get it launched by 22nd September. 3500 developers at the venue were divided into small groups with mentors from Microsoft. Each app went through various level of screening to come to first 500 selected and from there to Final 45. We were expecting this to happen, but Final 45 was like a dream come true. We could not wait to have the list of Final 8 from different category. 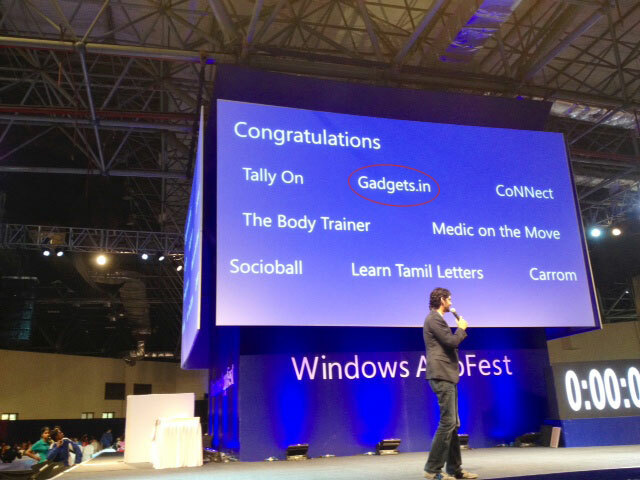 The moment when gadget.in featured in the top 8 – the happiness of our team was beyond any expression. 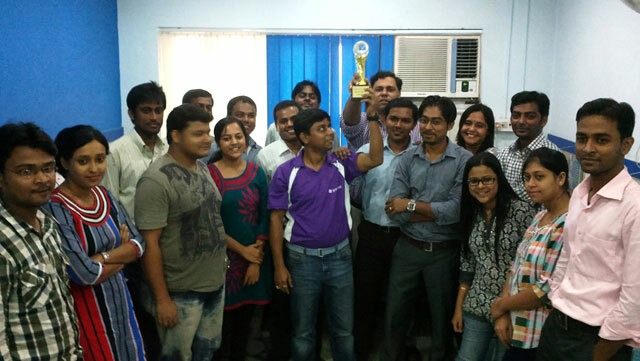 Efforts recognized and rewarded everyone in InSync Tech-fin Solutions ltd. is happy – this picture explains our emotions better. It is just a step forward of our innovation, and the accolades only makes our determination strong as we promise to soon have more of Magento web stores on Win 8 Marketplace and make this process of having Win8 App as easy , fast and smooth as possible.